During George H.W. 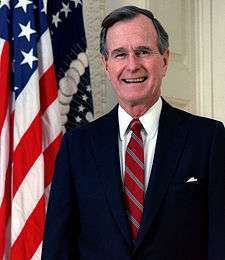 Bush's term in office as the President of the United States of America, he nominated 11 individuals for 10 different federal appellate judgeships who were not processed by the Democratic-controlled Senate Judiciary Committee. The Republicans claim that Senate Democrats of the 102nd Congress on purpose tried to keep open particular judgeships as a political maneuver to allow a future Democratic president to fill them. All 10 of the judgeships were eventually filled with Clinton nominees, although one nominee, Roger Gregory, was nominated by Clinton and then renominated by President George W. Bush. None of the nominees were nominated after July 1, 1992, the traditional start date of the unofficial Thurmond Rule during a presidential election year. Senator Orrin Hatch, the Republican leader of the Senate Judiciary Committee during the 106th Congress mentioned the controversy over President George H.W. Bush's court of appeals nominees during the following controversy involving the confirmation of any more Democratic court of appeals nominees during the last two years of President Bill Clinton's second term. ↑ Congressional Chronicle, C-SPAN (March 7, 2000).